The findings of a UN investigation team in relation war crimes committed by both Israel as well as Hamas make interesting reading in terms of what may result if the International Criminal Court ever gets to proceed with laying charges against individuals. The findings allege that the Israel military participated and instigated indiscriminate killings of Palestinians, the IAF (Israeli Air Force) dropped illegal munitions upon populated areas with the full knowledge of the military hierarchy as well as Government Ministers, while on the other side of the coin, the report stated that Hamas illegally activated and launched unguided rockets upon Israeli populated areas. The report details incidents, dates, times, locations and offences committed in minute detail all of which would more than provide substantial evidence in an International Court of Law. The problem for Israel is that any charges would involve current Government Ministers and officials as well as current military commanders while in the Hamas case, charges could well involve some of its leadership. Regardless of the obvious logistical difficulties, I am of the view though that charges must be brought and proceeded with for a number of reasons. In the Israeli case, it would prove that Israel is not above the provisions of International Law and that it cannot forever do as and when it pleases within the region. Prosecutions in this case would also open the doors for other court actions in relation to a host of human rights abuses, crimes against humanity, and breaches of the Geneva Convention all in relation to Israel's treatment of Palestinians as an occupier of Palestinian lands, remembering that any continuing of such an occupation post 1967 is in effect to hold onto and to encourage theft. In other words, anything that Israel gained and still hangs onto post 1967 in terms of territory can be deemed to be an illegal occupation as well as being stolen property. Given Israeli conduct since 1967, with more than a little help from various US administrations, I think that utilising the 'rough and ready' military approach against the Palestinians and breaching all sorts of International Laws and conventions, the various successive Israeli Governments have besmirched the legacy of the 6 million Jewish people who died during WW2. 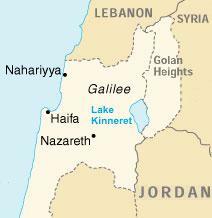 The best thing Israel could now do is to withdraw behind pre-1967 lines and start serious negotiations with the Palestinians and other Arab states, handing the Golan Heights back to Syria in the process. In the case of Hamas things are rather interesting remembering that Hamas actually won an election in the occupied territories, an election that the then Bush administration and other countries chose not to recognise as it did not suit their objectives at the time. For Hamas to once again gain some legitimacy and credibility it may care to permanently cease lobbing rockets over the Israeli border into populated areas and work towards a pre-1967 Israeli withdraw either though negotiations or through becoming a legitimate liberation movement. However, I think Hamas has a case to answer in relation to the events as detailed within the report. I think though that charges against individuals concerned from both sides must now proceed.